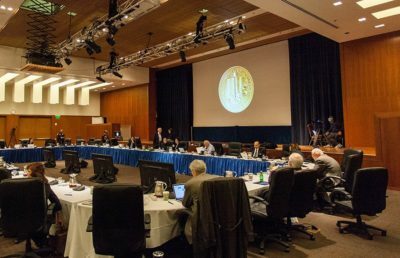 The UC Board of Regents will convene at UCSF Mission Bay on Wednesday and Thursday to discuss nonresident students, management of the Los Alamos National Laboratory, and renewal of the board’s independent auditor. Student Regent Devon Graves said he expects that on Wednesday, the regents will continue to support their current enrollment policy of welcoming nonresident students in addition to, rather than in place of, California residents. “The university has a responsibility to serve our resident students first, then a responsibility to remain a global enterprise that attracts students from across the globe,” Graves said. While significantly lower than the 28.7 percent nonresident enrollment in 2016 at the UC’s public peers in the Association of American Universities, UC nonresident enrollment has increased from about 5 percent in 2008 to 17 percent in 2017. According to Graves, the increase was caused by UC’s enrollment of nonresidents whose higher tuition costs help offset the cost for in-state students. In May 2017, the UC Board of Regents capped nonresident enrollment at 18 percent for five UC campuses — Davis, Merced, Riverside, Santa Barbara and Santa Cruz — and at the 2017-18 nonresident enrollment percentages at four other campuses — Berkeley, Irvine, Los Angeles and San Diego. In March 2018, the regents approved a 3.5 percent increase in undergraduate nonresident supplemental tuition. 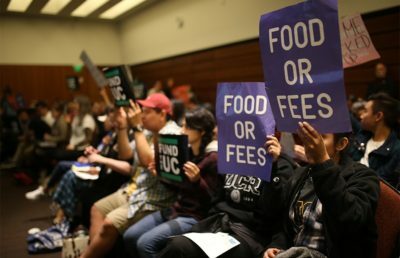 “Because the state Legislature was interested in the topic, the regents worked on coming up with a solution that would be best for California residents and meet some of the demands, making sure the university was committed to educating California students,” Graves said. Other topics slated for discussion Wednesday are the results of the state auditor’s report on the UC’s response to sexual harassment cases and a $60 tuition rollback that the board is expecting to pass because of the completed payment of a legal charge from 2007, according to Office of the Student Regent Communications Director Sarah Abdeshahian. Abdeshahian said in a text message that the tuition rollback is a “big deal” in a world of regularly increasing UC tuition. She also expressed discontent with the state auditor’s suggestions regarding sexual misconduct cases, including recommendations to improve the systemwide Title IX office. “In my opinion, these ‘recommendations’ to the UC are not good enough to completely improve how the UC deals with sexual harassment,” Abdeshahian said in a text message. 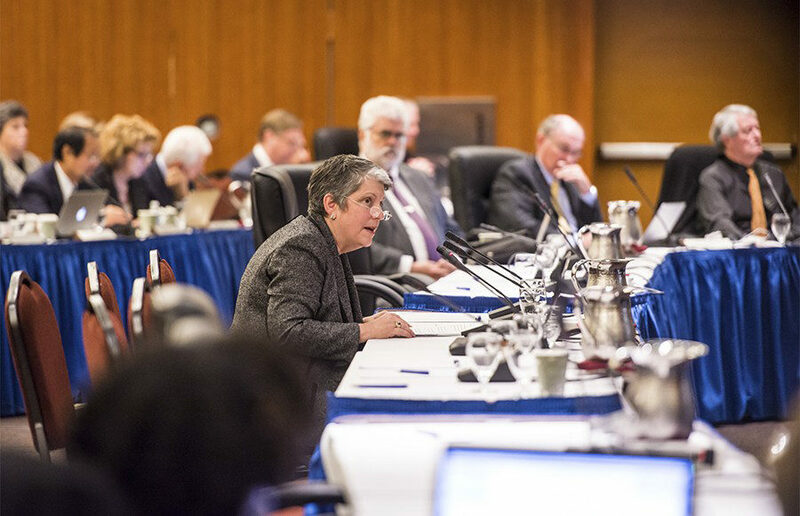 According to UC spokesperson Stephanie Beechem, the regents will discuss the three UC-affiliated national laboratories, particularly Los Alamos National Laboratory, or Los Alamos lab, where the UC was recently awarded a management contract by the Department of Energy’s National Nuclear Security Administration. UC will share control of Los Alamos lab with Battelle Memorial Institute and the Texas A&M University System for five to 10 years. The board will also consider voting to extend the regents’ current contract with PricewaterhouseCoopers, or PwC, an external auditor with whom the university has had a positive experience. If the contract is renewed beyond its September 2018 contract termination date, PwC offered to limit fee increases for fiscal years 2019-2023, according to a letter from PwC engagement partner Will Cobb.